Rediscover youthful skin with Hylamide's SubQ Anti-Age, an advanced anti-ageing serum with multi-depth rehydration care; it works to infuse skin with moisture whilst reducing the appearance of lines and irregularities. Harnessing a range of age-defying ingredients, including a highly active concentrate of advanced hyaluronic complexes, innovative peptides and biotechnological technologies, the formula delivers immediate hydration, both on and below the surface, and visibly plumps skin to relieve the look of lines, wrinkles and sagging. Its next generation Swiss technology helps address textural damage, targeting multiple types of collagen for overall improvement in skin health and age. Improving the skin's natural barrier function, its advanced formula promotes renewal, helps prevent moisture loss and leaves skin feeling more comfortable within two weeks of use. It also enhances skin's receptiveness of active technologies for a boosted effect. Apply to entire face AM and PM after cleansing. Ideally follow with application of SubQ Eyes and specific Hylamide Boosters as needed. Love it! Very good Ingredient list, easy to spread only need to use a small amount, and sinks into skin fast. Is in my top skincare products! Im using it for its good hydrating benefits and preventing wrinckles, since im only 24 years old , i cant tell how it is working for wrinkles . Will continue to repurchase! 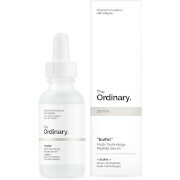 I have been using this serum in conjunction with some other products from The ordinary and have definitely seen results. My slightly dehydrated sensitive skin feels smoother and plumper and most definitely younger. 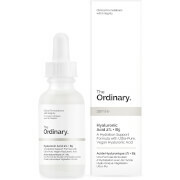 It does not work miracles, but I would say this is a top rate serum for the price, especially on offer. I have been using the Hylamide SubQ Anti Age serum for a few days now. I use it at night and in the morning. I have combination skin, oily down the centre and dry at sides of cheeks. I wash my face thoroughly, removing all make up and oil so that my skin is extremely clean. Then use 4 drops of the SubQ serum and apply it all over face and neck. This serum soaks right into my skin. Then I apply my usual moisturiser. At night, I press a light film of rosehip oil over my moisturiser to lock everything in. I have definitely noticed a difference since using the SubQ Anti Age serum. My skin looks plumper, and more even toned. I have marionette lines at the sides of my mouth which are created by my skin slightly sagging. So I am hoping that this SubQ serum will help with those, as it is supposed to reduce skin sagging over time. I have used other high end serums, but they tended to make my skin look more greasy as the day wore on. This SubQ serum doesn't do that. It is a thin, watery consistency but loaded with excellent anti aging ingredients. I always shake the bottle before use to ensure I'm getting a good mixture of all the wonderful ingredients with each use. I am only using 4 drops with each use so this serum should last a very long time. I am hoping to see much better results over time as promised, especially on my marionette lines, and if so will definitely repurchase. I have dehydrated, combination skin and this serum has worked so well at adding hydration back that I no longer need to use any kind of moisturiser with it except for SPF during the day. It definitely does offer the quick and visible results that it promises and is by far the best serum of this type that I have tried. This serum is easy and light to apply. Instantly absorbed and no sticky residue. Skin looks brighter, pores less noticeable. 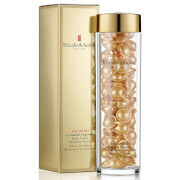 Lovely product to use, unlike many serum's I have tried, this product keeps skin plump and hydrated. I cant say whether this has had a long term effect on wrinkles as I haven't yet finished the bottle but it seems promising and I will repurchase. I like how this doesn't contain silicone as I found it can cause congestion. Definitely recommend!